The Be Balanced Program will continue to support your well-being with a full menu of activities and resources designed to help you maintain or improve your health. Employees and spouses who enroll in a Windstream medical plan starting January 1, 2019, must complete both the confidential biometric screening and online health assessment to avoid a $500 medical surcharge. Program details and deadlines will be announced first quarter 2019. The QuitNet® program is here, supporting your efforts to quit tobacco for good at no cost to you. If you use tobacco, quitting can improve your health and give you back precious time and money. Take back what’s yours with help from the QuitNet program. It’s the world’s largest tobacco cessation program, helping people quit cigarettes and other forms of tobacco. Connect with a community of quitters who know just what you’re going through and kick the habit for good. Click here for more. 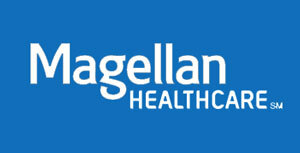 Windstream offers an Employee Assistance Program through Magellan. From online information to confidential consultations with licensed behavioral health professionals, you and your household have access to a wealth of practical, solution-focused resources to help you reduce stress, strengthen relationships, increase productivity and improve your quality of life. Get access for the right help at the right time, at no cost to you. Log on to www.magellanascend.com. Click on the “New or Unregistered User” button. Follow the prompts to register. You’ll be asked to provide Windstream’s toll-free program number – 800.327.5569. Progyny specializes in offering families a variety of options infertility treatment – with proven success. With over 450 clinics, Progyny offers a wide network of specialists. Available to those who enroll in a Windstream medical plan, Progyny will coordinate with your medical and pharmacy benefits. Windstream partners with Weight Watchers® to change your relationship with food, for good. Try their proven weight-loss approach and powerful group support at a 50% discount. Windstream will pay half the membership cost of online access or online plus in-person meetings (meetings available to those living in non-franchise locations). Weight Watchers is a validated program and approach that supports millions of people in their weight management goals. Join the Weight Watchers community on Stream. To purchase either of these Weight Watchers offerings, or for more information, visit https://wellness.weightwatchers.com. You can also call Weight Watchers at 866-204-2885 (Monday–Friday, 8 a.m.–10 p.m. EST; Saturday 11 a.m.–5 p.m. EST). Omada is a 16-week online program that provides everything you need to adopt healthier habits, lose weight, and reduce your odds of developing certain chronic diseases, like type 2 diabetes. Participation in Omada is limited to those who are at higher risk, but is now open for registration to all employees. Registrants will be notified of their eligibility after registration. Upon qualification, you will receive a cellular scale to help you and your coach develop your program specifically to you. Omada uses a multi-modal approach to guide each participant through a behavior change program that turns healthier choices into lifelong habits. Our approach combines dedicated health coaching, digital tracking tools, social support, and an engaging, interactive, online experience to help participants achieve clinically meaningful weight loss. Visit omadahealth.com to register today. The Livongo for Diabetes Program is a health benefit that makes living with diabetes easier and is offered at absolutely no cost to you (and your family members) when enrolled in a Windstream medical plan. Latest Technology to Simplify Living with Diabetes: The Livongo connected glucometer uses cellular technology to automatically upload readings, making log books and sync cables a thing of the past. 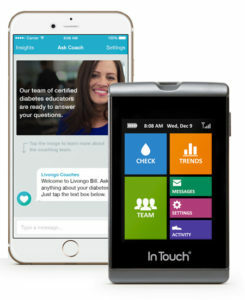 Real-time Support from Coaches to Support Your Healthy Lifestyle: Personalized support provided from the Livongo mobile app, secure website, and certified diabetes educators. Unlimited Strips at No Cost: Test strips and lancets are shipped to your front door with the click of a button at no cost. To learn more or join, click here. Registration code: WINDSTREAM (if asked to provide one). If you have any questions about the program, click here. Your personal health information is private, and is not shared with Windstream. It is gathered and maintained by our independent third-party vendors. Windstream takes your privacy very seriously. Reports that are generated from participation in weight and condition management programs and completion of the PHA and biometric screenings provide information to participants and, in aggregate, to Windstream to help plan health risk reduction strategies. Windstream is only provided with consolidated information that aids in administration of the plans, such as who qualifies for awards, and aggregate information about Windstream as a whole, for instance, the average health score of our employee base. In addition, it is prohibited by federal law for Windstream or any employer to receive your personal health information without your consent.